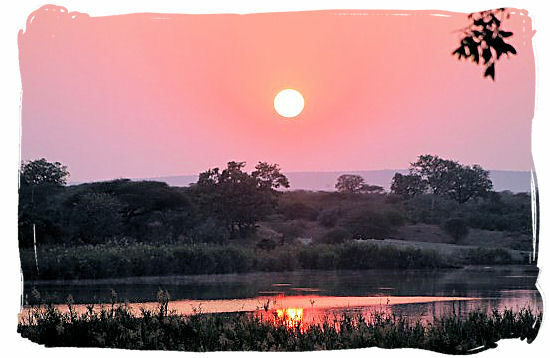 The best time to go on an African safari in South Africa are the months May to September. This is the winter or dry season when the rainfall pools and puddles have dried up with the wildlife congregating around the permanent water supplies such as rivers and water holes. This higher density of the animals makes it easier to find and spot them, especially with the dry and short winter condition of the vegetation. This does not necessarily mean that the wet season is a bad time to go on safari. You can still enjoy a great safari under these conditions. The point is that the wildlife will be far more spread out amidst lush and high vegetation and therefore more difficult to spot. During the wet (summer) season in South Africa for example it is not so that it rains for days on end with roads and other infrastructure being washed away. What you can expect is rather a pattern of sunny warm to hot days with thunder storms in the late afternoon and although these can be violent they usually last for an hour or few. Keep in mind that the seasons on the southern hemisphere are the reverse of those in Europe and the United States and the rest of the northern hemisphere. Come and find out what it's like to spend Christmas in mid-summer in one of South Africa's great national parks. The tourism high season, when the wildlife parks are at their busiest, but not at their best as far as game viewing is concerned. The tourism low season, which coincides with the best game viewing months. The weather is at its most pleasant, the afternoon storms are much less and the game viewing is still excellent. It is winter, cold in the morning and at night. Game viewing however is at its best. The animals congregate around the permanent water holes and along the rivers and there is less vegetation, making it easier to find and spot the animals. Days are cloudless and sunny with almost no rain and, do take note, greatly reduced mosquito numbers. This is the low tourism season, so with reduced visitor numbers the parks and wildlife reserves are not so busy, except maybe for the 4 week school holidays in June-July. It is cold at night and early morning (5h00-6h00) temperatures can be below zero Celsius. Your game drives are in open safari vehicles, so do not forget to pack a few pieces of warm winter clothing. As the sun rises temperatures will soon rise to more pleasant levels. The rainy season has started and the vegetation has come to new life, turning beautifully green. 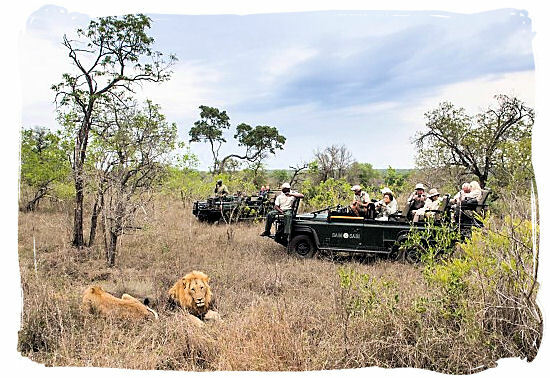 It is also the high tourism season, which means that the wildlife parks and game reserves experience high visitor numbers and are charging higher rates. The annually migrating birds have arrived, making this period a great time for bird watching. It is the rainy season, but most of the rain comes in the form of afternoon thunderstorms. Although violent and heavy at times, they do not last long and should not really interfere with your safari trip. The vegetation is higher and thicker in the wet season, which makes it more difficult to find and spot the animals. Also because they are more widely spread as a result of the greater overall availability of water. The months December, January and February become very hot and humid, while some of the parks can get a little crowded during the annual main school holidays in December.